Statistics Canada (StatCan) and Canada Mortgage and Housing Corporation (CMHC) have been gathering housing data. 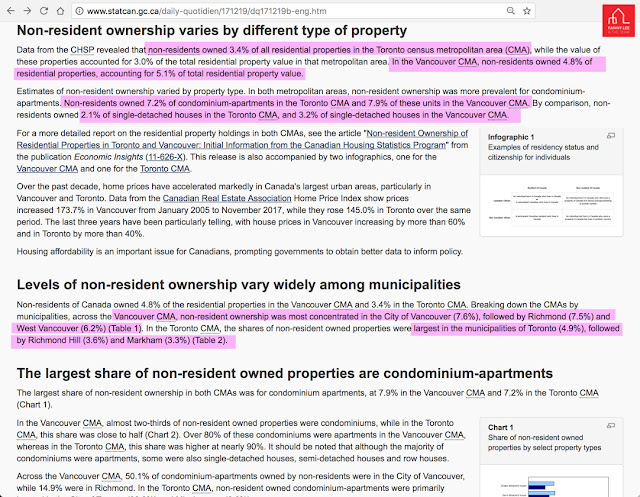 Earlier today, StatCan released information about non-resident ownership of properties in Toronto census metropolitan area (CMA) and Vancouver CMA. 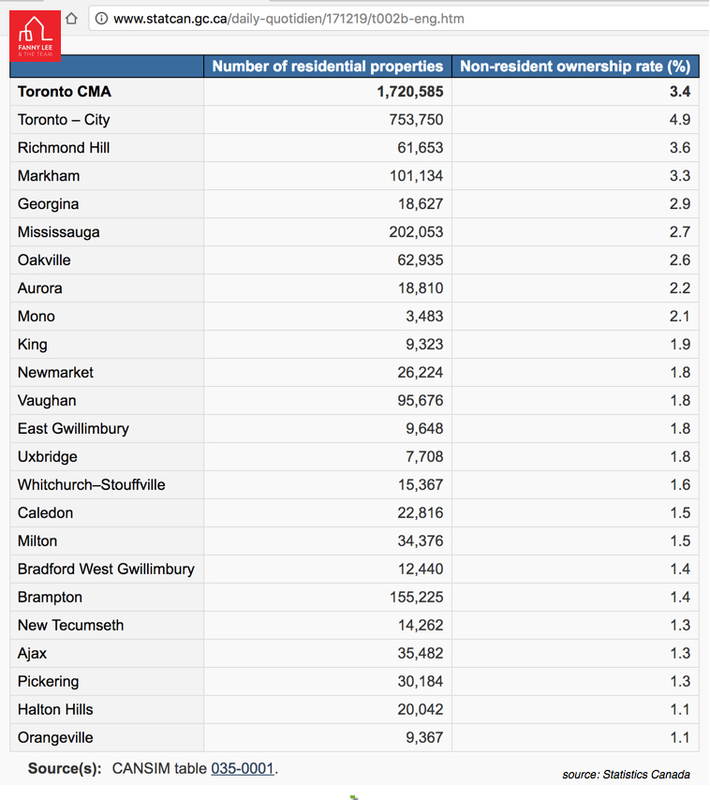 Non-residents make up a small percentage of housing property ownership.